Well, what can I say? My first impressions of Casumo were a mixed bag. While it looks professional, there is a distinctive WordPress feeling to the site. On consideration, I realised there’s nothing wrong with a WP casino; it just isn’t what I would normally expect. While exploring the site, I found their Job section. They’re looking for “Designers with a Crush on UI & UX”, as well as a “Front End Developer with a love for CSS”. Both of these indicate that they take the design and the users experience seriously (which isn’t unsurprising for such a large casino), so regardless of the CMS they’re using, they certainly have their customers’ needs and experience in mind when designing the site. This is evident in many different areas of the site, but more on that in a minute. One thing that I found infuriating to start with was the ticker on the left-hand side. It provides RT information on the latest wins and bonuses across the entire casino. I found it distracting; it repeatedly draws the eye away from the games. I couldn’t find a way to switch it off and that was irritating. Fortunately, within 10-minutes, I’d largely blocked it out of my awareness. Eventually, I realised that the top section of the ticker (where you’ll see three slim lines of colour – blue, yellow, and orange) is really helpful. It gives you quick access to your account details (e.g. name, address, playing preferences), your bank (deposits, withdrawals, bonuses, and playing history), and to the casino itself. In conclusion, while the site was somewhat confusing initially, and navigation didn’t feel logical, after a few minutes, it all starts to make sense. Casumo has an excellent collection of games. I counted 365 slot machine games alone. All together, they claim to have around 3000 games, and that definitely looks to be the case, but I’m not going to sit and count them all to verify! With that much choice, I really had my work cut out choosing which ones to play. For my first choice, I went for one of the Monopoly slots (Once Around Deluxe). It was great. I won enough to withdraw cash! But, alas, it’s one of my favourite games, so of course I had to play my winnings! The best part of the game is getting the bonus and ending up on the board. I even managed to win “Twice Around the Board”. Here, as the name implies, you get to go around the monopoly board twice, and your prizes are doubled. In terms of play, the game load quickly and played well. I also played one of the blackjack tables. These are much like your typical casino blackjack tables. It’s simple and straightforward to play. Again, this was a smooth play with some lag between rounds. Initially, there was an error and it told me to come back and play in a minute. I eventually realised that the error was due to a lack of funds – I’m not sure why they don’t make that clearer, but it was a minimally irritating issue. I think the best part of the site is the huge jackpots. Some of them are incredible. The reason for their huge jackpots is probably because it’s a pan-European casino. They’re based in Malta, but they have websites for Germany, Norway, Sweden, and the UK. They’re clearly a large company with many players and the jackpots reflect this. 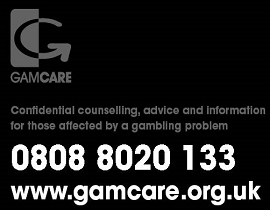 Their largest jackpot today (July 2016) sits at £3m+! They also have one at £300K+, four at £150K+, and a handful at around £20K. If you want to play for big rewards, then Casumo is a great choice. Signing up is extremely straightforward – they just want your email, name, and address. They give you 20 free spins as an initial welcome. You can play these without depositing any money at all. It gives you a good way to play the games without risking your own money. Once you make your first deposit, they give you a 200% match bonus (up to £50) as well as 180 free spins. As with many casinos, you need to play through the bonus wager before you can make withdrawals. This can feel somewhat cunning: you think you’ve won big, but you’re not allowed to withdraw the money until you’ve played it through again. All bonuses need to be wagered 25 times and free spins 30 times, before you can make withdrawals. This can feel frustrating, but it’s actually a very common thing with online casinos, and you’d be hard pushed to find a casino that doesn’t do it. To find the deposit section, just look at that left ticker again, you’ll notice a band of yellow near the top. When you hover the mouse over that band, it pops out. You then click on the “£” sign and it takes you to the payment and withdrawal section of the site. Here, you can make deposits, withdraw money, enter discount vouchers, and look at your deposit history. They offer four deposit methods, Visa (Credit & Debit), Skrill, Neteller, and Paysafe. We accessed the site using a laptop, and the games loaded relatively slowly – especially the slots, which took around 5 seconds to load. That is very reasonable, in my opinion. There was a slight issue of lag when moving between rounds – e.g. with the blackjack, but it was minimal. Finally, I received several error messages when trying to play on the slots. It was confusing to start with, but eventually I realised it was because I didn’t have the funds to play that particular game. Why they didn’t tell me that, I don’t know. It’s probably some kink that they haven’t noticed yet. 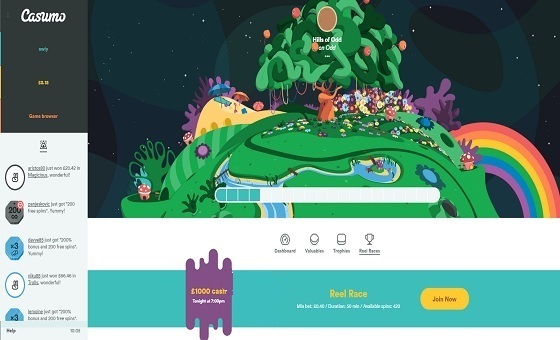 A good feature of the site is that they allow you to withdraw cash of £10 or more. Some of the larger casinos set higher margins, and it can feel that your money is stuck in the site forever. The wagering requirements on the bonuses can feel frustrating, but that’s the same on many other sites, too. 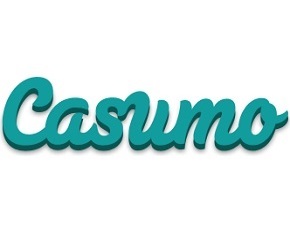 What sets Casumo apart from their competitors? There are many positives. The huge jackpots are incredible. The massive range of games is great. 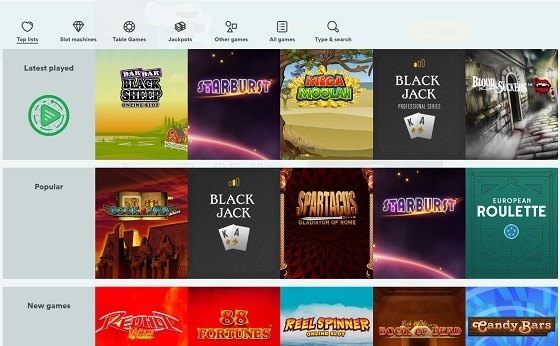 One thing that we really like is their “casino games” section, where you can find detailed information on the various games on offer and how to play them. If you’ve ever wondered how to play the slots, then visit Casumo. The other thing we liked are the “Casino Challenges”. Here, the casino sets various challenges and you compete with other players to win prizes. It’s a great way to add a feeling of camaraderie to the site. Overall, Casumo does take some getting used to. I started to warm to it after around 20 minutes of play. It has a fantastic selection of games, some great USPs, and decent bonuses. We would definitely recommend that you try it out, but that you go in with an open mind and understand that you will probably need to take a while to get to know the site. With its huge jackpots, it’s definitely worth giving it a chance.